Make Money Online Resources SEO is dead. 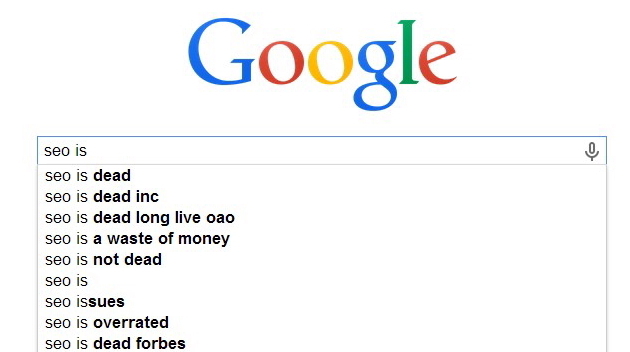 SEO is not dead. Is SEO…undead? SEO is dead. SEO is not dead. Is SEO…undead? Has SEO become the undead? Ever since Google’s Hummingbird update back in late 2013, many bloggers have announced that SEO is dead (627,000 according to my search query). They’ve also pointed to ensuing announcements from Google, such as Matt Cutts’ declaration that link building is done, as further proof that there is no more need for SEO-building strategies. In fact, SEO has become a dirty word of sorts, so dirty that SEOMoz recently changed its URL to just Moz.com. 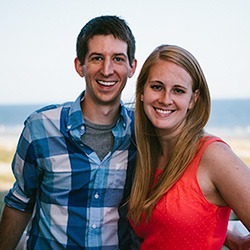 “Build awesome content,” is the mantra of these SEO naysayers…but awesome content for whom? What’s the point of creating and publishing awesome content that no one can find? In another and much smaller camp are the “SEO is not dead” proponents, who emphasize that SEO has simply changed, not disappeared. Members of this camp publish “helpful hints” lists on how to be compliant with the new SEO, such as by inserting rel=”nofollow” tags on guest post and press release links. Or removing all self-promotional content and ads. “Keep a low profile and let Google find you,” is their quip. However, any blogger who writes a killer guest post on Copyblogger or Tech Crunch is not going to be satisfied with simply being mentioned by name. It would be the equivalent of quoting a great source and writing, “Yeah, this person wrote the following stuff somewhere…” Nope, that’s not even proper journalistic form. So, what’s a webmaster, blogger or affiliate marketer to do? Reports of SEO being dead have been greatly exaggerated- many times. That’s right. Apparently, the “SEO is dead” card has been played for a long time. Even before the age of Google, Richard Hoy of Tenagra said that “search engines are a dead-end technology.” Then Google came on the scene, and with every search algorithm update it made, the same “SEO is dead” outcry was sounded. 2003, Florida. This update countered keyword stuffing and caused many sites to lose top ranking. It led to many business websites virtually disappearing overnight. Webmasters figured SEO was over. 2004, Austin. Invisible keyword-stuffed sites were penalized and disappeared from the SERP. Again, another major outcry against Google erupted and the end of SEO was declared. 2005, Jagger. Spam linking was derailed, resulting in many link-heavy sites losing position. Entire websites were now dead, as far as their SEO was concerned. 2007, Universal Search. Rich media was integrated into the SERPs, causing some position #1 sites to move to position #2 while larger rich media files populated the results pages. Images and videos, not content, had won the SEO battle, apparently. 2010, May Day. Changes were made to long-tail keyword ranks, effectively lowering the positions of niche websites that stuffed longer search terms. Many affiliate marketers considered their SEO efforts to have been in vain. 2010, Social Triggers. Social media activity was added to the ranking algorithm, leading to many pundits denouncing the need for SEO. 2011, Panda. This update took a swipe at content farms and lowered their rank. Again, SEO, viewed solely as the practice of keyword-stuffing, was noted as being dead. 2012, Penguin. Google’s numerous Penguin updates penalized link farms, paid link and over-advertised websites. Linking for SEO was declared dead, as was pretty much any SEO effort. 1. 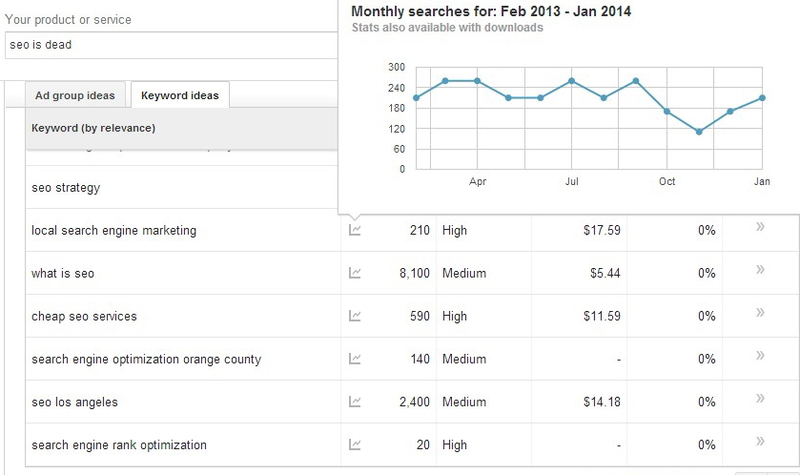 Use Google’s Keyword Planner to get keyword ideas. 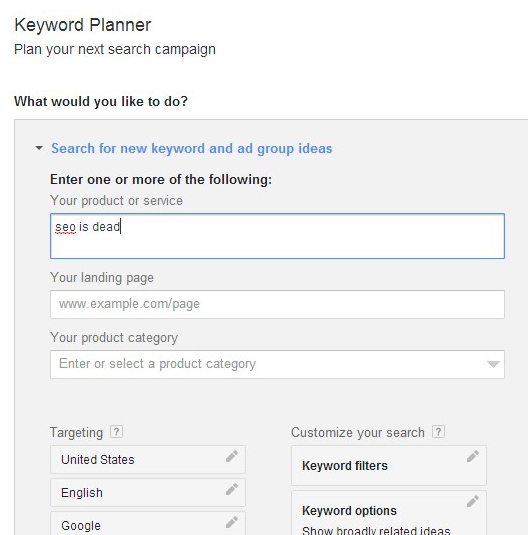 Google’s newly introduced Keyword Planner Tool enables webmasters to brainstorm for keyword and ad group ideas. Incidentally, you will need to create an AdWords account to access this tool. Once in this tool, simply describe what your website or blog post is all about. After you’ve added your text, the tool will display a list of keyword ideas. You should go after those keywords that have low to medium level search volume traffic. In most cases, these keywords will be the long-tail keywords. These long-tail keywords can be inserted into your website meta tags and/or blog post titles and content. 2. Generate link-worthy and link-containing content. Incidentally, you can create embed codes for your amazing blog posts too. 3. Continue to guest post. 4. Don’t forget about social media. Pick one or two social media platforms and take advantage of their syndication properties to publicize your latest article, blog post or graphic. Engage in discussions through sites like LinkedIn or Facebook and, if the conversation warrants it, mention and link to your content. 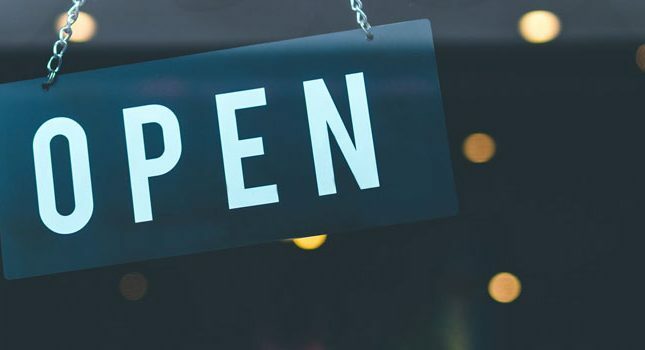 Redirecting your followers or fans to your own website not only increases your social media mentions, a critical factor in what is now termed social SEO, it also enables you to obtain visitor information (i.e., emails) and increase your subscriber base in exchange for offering some free item like an infographic. SEO is an evolving beast and, while you should stay up-to-date on its changing nature, you also shouldn’t let its metamorphoses keep you up at night (assuming you’re not engaging in black hat SEO). 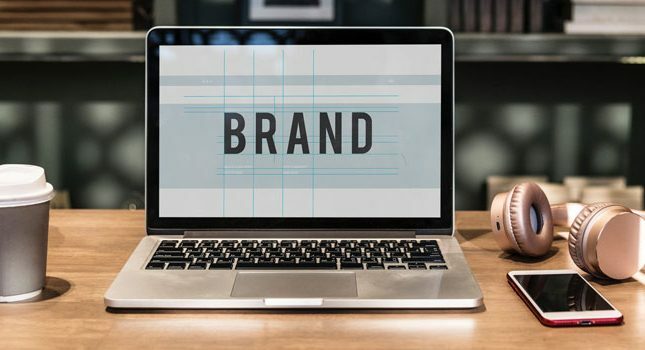 If you’re publishing quality content, staying active on social media, and adding value to other websites, then SEO is just one facet of your overall strategy to gain traffic and conversions. The bottom line here: Don’t sweat the SEO stuff. Great article. There is so much false information on seo online now form various different bloggers and a lot of them are just taking a stab at it and hoping the information they are providing is correct, this is not the case here you know your stuff. I completely agree with Dom ‘it’s just a way of saying “hey Google, this is what my page is about”’. Excellent points. I’d say the REAL purpose of SEO is to help tell the search engines just what your content is about. It might have been about getting the best rankings in the past, but now it’s just a way of saying “hey Google, this is what my page is about”. One thing you didn’t mention about Panda in 2011 – Google had thousands of testers rate thousands of websites for their quality, and its search algorithm “learned” what makes a quality website. This is probably the most important aspect of the whole Google algorithm now and one that often fails to get mentioned. Google “knows” what quality looks like.